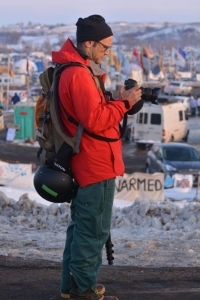 Multimedia journalist Michael Nigro at Standing Rock Sioux Reservation in 2016, documenting protests against the Dakota Access Pipeline. 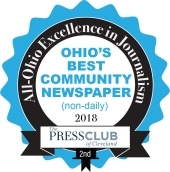 “I want to get the stories out there,” said Cleveland Heights native and multimedia journalist Michael Nigro, over a cup of coffee at Phoenix on Coventry. From Occupy Wall Street, Standing Rock, Charlottesville, the Poor People’s Campaign, and refugee camps at the U.S.-Mexico border, Nigro has dedicated his career to embedding himself with social movements so that he can share their stories through his photography and reporting. In 2016, Nigro spent a total of one month (two junkets) embedded with protesters resisting the Dakota Access Pipeline at Standing Rock. “I learned so much—how to treat people, the role of a journalist, how social movements work—and how they can collapse,” reflected Nigro. Recently, Nigro’s work has focused on the immigration crisis, reporting from January’s migrant caravan and asylum-seeker camps in Tijuana. “There are 15,000 kids at the border in Texas with numbers on their arms,” he said. Nigro’s live Facebook broadcasts have included footage of a woman jumping the border wall. In February, he covered counter-protests of a Super Bowl weekend neo-Nazi rally near Atlanta. Returning home to visit his parents and other relatives gives Nigro the chance to visit favorite places such as City Buddha, Nighttown, On the Rise, Shaker Lakes, and The Grog Shop. “Live music is my refuge,” he said, providing a respite that is sorely needed, given his intense profession. 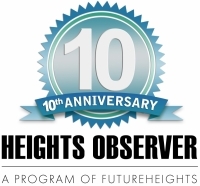 Born and raised in Cleveland Heights, Nigro attended Fairfax Elementary School, St. Ann’s middle school, and Gilmour Academy. After graduating from Wittenberg University and receiving an MFA from American University, Nigro lived in London before returning to Cleveland Heights. He worked a copywriter for Playhouse Square, Scene magazine, and the Free Times. In 1994, with an interest in documentary film and TV, Nigro and his wife, Berni, a Cleveland State University grad and radio personality, moved to New York City, where Nigro started writing and directing for various networks, including ABC, Discovery, MTV and National Geographic. In 2010 he began directing the reality game show, “Cash Cab,” which, in a roundabout way, brought him into the news and documentary arena. When the show wrapped at midnight, Nigro would go to Zuccotti Park to film the Occupy Wall Street demonstrations, often staying until 3 a.m.
“I would see what was being presented on mainstream news and knew it wasn’t accurate or true,” explained Nigro. Motivated to get honest coverage out to the public, Nigro began shooting stills and submitting stories to independent media outlets such as the Huffington Post, Truthdig, and Common Dreams, which led to photo agencies such as Getty, SIPA and the Associated Press picking up his work. “It was a non-linear career path,” he explained. Contracted work directing commercials and television programs would interweave with freelance writing, photography, and video reporting for independent news outlets. His work has been featured by Rolling Stone, Vice, Time and other media. While proud of his work, daughters Bella (21) and Luca (18) are the first to ask if he will be safe as he embarks on another junket. “Charlottesville was the worst,” he said, “because they watched that live.” Nigro coped with the trauma by talking with a trusted war journalist friend who walked him through what to expect in the days that followed. An award-winning filmmaker and Emmy-nominated writer-director, some of Michale Nigro’s photos can be viewed on his Instagram, @nigrotime. Mostly a mom, Shari Nacson, is a freelance editor, social worker, and nonprofit consultant who makes her home in Cleveland Heights. More than anything, Nacson is inspired by kids and adults who build connection through kindness.